The Chuckit! Fetch Wheel is an innovative toy that bounces and floats like a tennis ball, but also rolls on the ground so your dog can chase it and fetch it back. The rubber whe.. KEEPS SQUEAKIN' IF PUNCTURED! Tough chewers have met their match with Outward Hound Invincibles! Featuring 2 layers of super-tough fabric, and special squeakers that continu.. 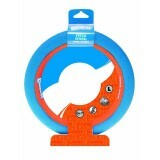 Exercise and feed your dog with the fully adjustable wobbling Bob-A-Lot. 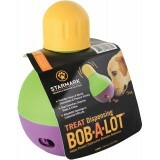 Holds Variety of Treats & Kibble Easy-to-fill, easy-to clean dual c.. The Chuckit! 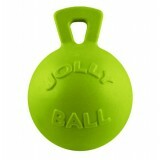 Kick Fetch features deep ridges which make it easier for your dog to retrieve. 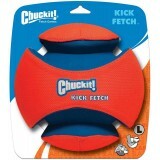 Kick to play for hours of interactive fun with your dog! Durable canvas, rubber and f..
MADE IN THE USA! 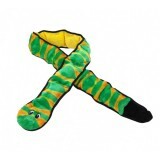 Get ready for a game of fetch by lobbing the Tug-n-Toss™ away from your dog. This toy requires no inflation as it floats through the ai.. Displaying 145 to 149 of 149 products.